For the first time in the UK, a British Company has been found liable for compensation claims made by their victims of modern slavery. A high court Jude ruled in favour of the victims, finding the company guilty of charging prohibited fees, withholding wages and failing to ensure the workers had adequate living and working conditions. A high court Jude ruled in favour of the victims, finding the company guilty of charging prohibited fees, withholding wages and failing to ensure the workers had adequate living and working conditions. The Kent Gangmaster Group agreed to pay more than £1 million in compensation and legal costs. There are many aspects of this case that businesses and indeed those in civil society should consider in the fight against environmental degradation and modern slavery. The first obvious point is that businesses have to weigh up a number of risks when considering how they might approach the risk of modern slavery being identified in their organisations and supply chains, assuming of course that they are not deliberately involved (as was this company) in the exploitation of people for the benefit of their business interests. Business is increasingly likely to fact litigation about slavery in their supply chains. We recently published the findings of Barber V Nestle where a misrepresentation claim was brought against Nestle in relation to shrimps in their cat food that was sources through forced labour conditions. The liability for legal costs and fines is a growing risk and it will be interesting to see if any of the major companies that have or are facing legal action are disclosing these issues as material in their annual reports. “It is a disgrace that any British employer in the 21st century would exploit their workers in such conditions. 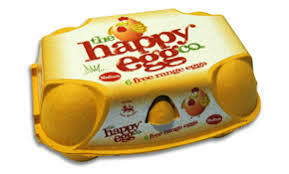 There is a dark irony that a business producing free range eggs did so using slave labour. More awareness of how these issues are linked needs to be taken into account by business when assessing a product and its related social and environmental risk. Despite these risks, when one looks beyond the veneer of many company’s statements (including modern slavery statements) on how they are tackling their sustainability challenges, there is a real sense of concern that we are still only in the early stages of change. Many companies also do not streamline the work that they do concerning environmental and human rights impacts. We are living in an age where slavery is a greater issue than at the time when Wilberforce fought for its abolition. Without the existence of legislation, the rule of law, business responsibility and access to remedies for victims, the many millions of lives that make up the 45 million slaves today will be lost to a grave on unfulfilled potential and lost dreams. What will you and your business do to help change things?